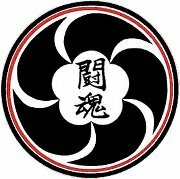 This August the Chicago Judo Black Belt Association yudanshakai and the Tohkon Judo Academy will proudly host the 13th Annual USJF National Kata Conference in Chicago. The two organizations have combined their efforts to organize this prestigious event for you. Please don’t miss this opportunity to learn all seven Judo Kata from Sensei Eiko Shepherd, 7th dan, the Chief Clinician. Click here for the official registration packet with all the details of the 3 day event. Please note that “JULY 18th” is the cutoff date for the Pre-Registrations and for the Special “Chicago Judo Rate” at the headquarter hotel. Send in your registrations and make your reservations now. If you have any questions, please contact Sensei Eiko Shepherd, Nicole Leung – Assistant Clinician, or myself. We look forward to seeing you all in Chicago this summer. This entry was posted on July 4, 2013 at 6:00 am and is filed under Judo Clinics. You can follow any responses to this entry through the RSS 2.0 feed. You can leave a response, or trackback from your own site.